You can use Driven and Shooters only. 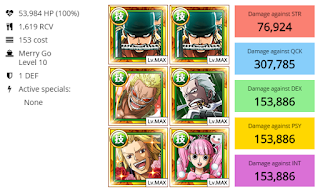 There is no Debuff protector, bring GP Usopp if needed. 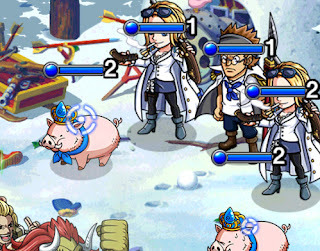 Stage 6 wapol is NOT the final boss.. Stage 7 is. 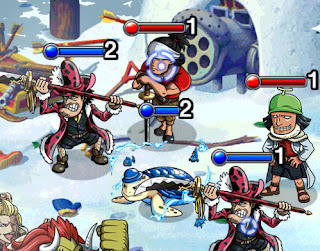 Save your finishing blow for Stage 7 Boss. Only Driven and Shooter characters allowed. Focus Marines first then stall on pigs. Focus little Lapans, then stall on either Adult lapan or Baby turtles. 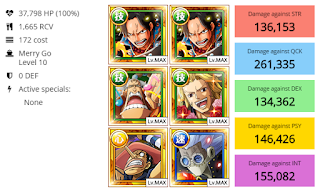 Adult Lapan got more HP and easier to stall on, if you can stand 5k damage. Hit down the clowns and stall on Turtle. 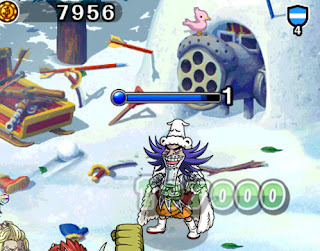 The Penguin survive only one hit anyway. 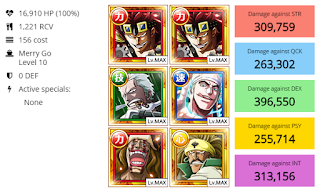 Don't even think about hitting Wapol below 50% except you have full despair sockets. They are kind of weak so don't worry much. 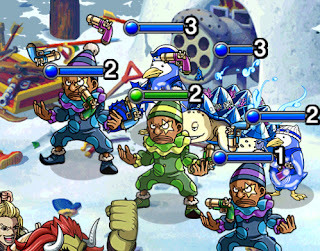 With that amount of HP you are able to stall down to 40% of your HP. 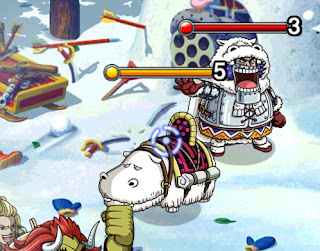 You won't be able to deal enough damage against Stage 6 Wapol to finish him in 1 turn so he will despair you anyway and you lose that HP buff. 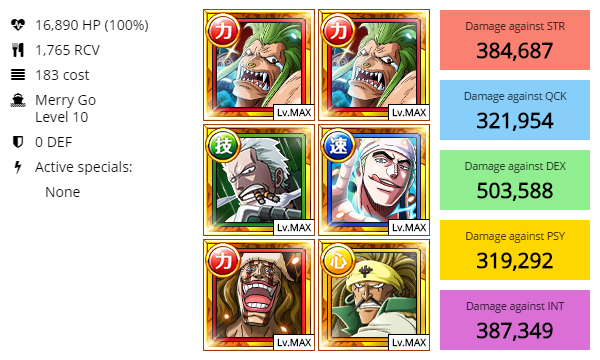 Smoker and Duval are just for the ATK stats, but can reduce a lot damage. 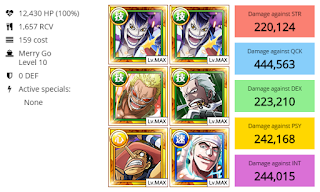 Use Duval initialy on Stage 7 for 20% HP cut on Wapol. 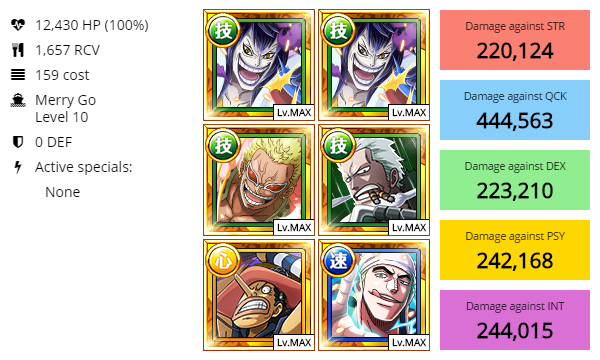 If you don't need Perona. You can replace her for Miss Duublefinger or such. Easy Clap. 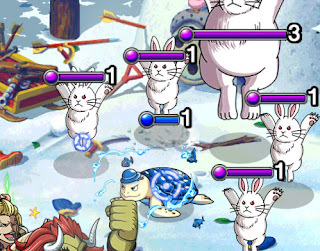 You have so much HP you can actually tank so much to have all specials up for the boss. 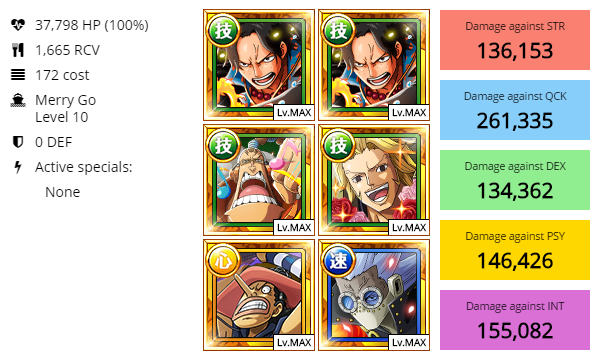 GP Usopp is a must have tho. 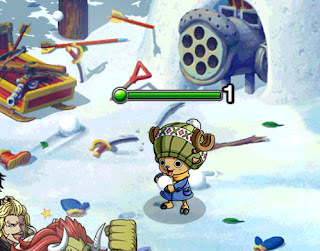 Using an Orb socket will help a lot. Diamante can also be exchanged for a nice ATK DEX Driven Striker. Enels special may not be suited for this team comp. but he still is the best Driven QCK Character out there (statswise). This is a little insecure crew because Global is missing the Cesar skillbooks which would make this Fortnight lot easier with 2x ATK boost. 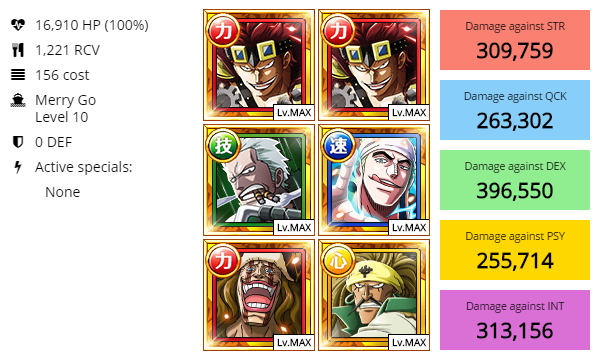 Little bit of luck is required to get 2 DEX orbs, use Doflamingo and finish off Wapol. That image for skillbooks of Marco is the wrong Marco.